Gordon Dowsley and Kim Tan of the Oshawa Rotary Club join Ross Mackie, Shawn Mackie and Greg Heasman of Mackie Transportation in loading books destined for the remote aboriginal reserves in Northern Ontario. 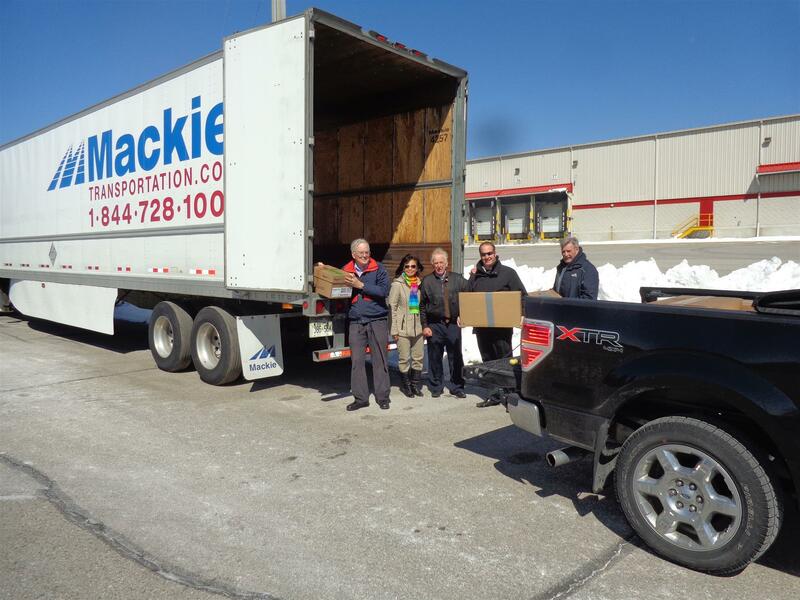 A special nod to Mackies for generously transporting the books to the distribution hub in Thunder Bay from which they will go by plane, or road, to replenish and even start libraries. The Rotary Club of Oshawa is pleased to partner with a number of organizations to gather ship and distribute these books.